Welcome, Macy's Santaland 2018! Oh, how we've missed you! 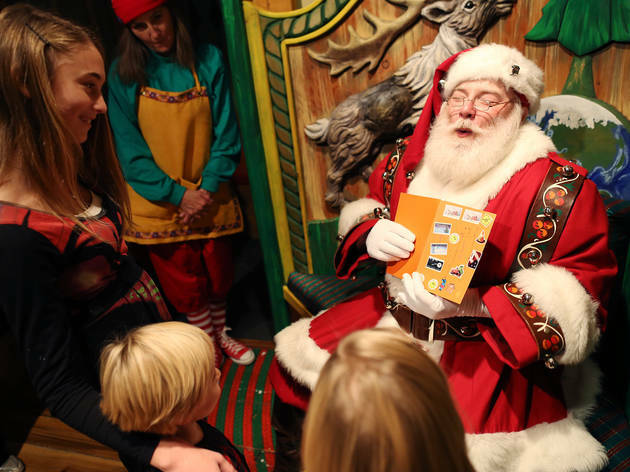 Of all NYC's amazing opportunities to meet Saint Nick, not a one can claim to be more iconic than Macy's Santaland at Macy's Herald Square. Planning your adventure? 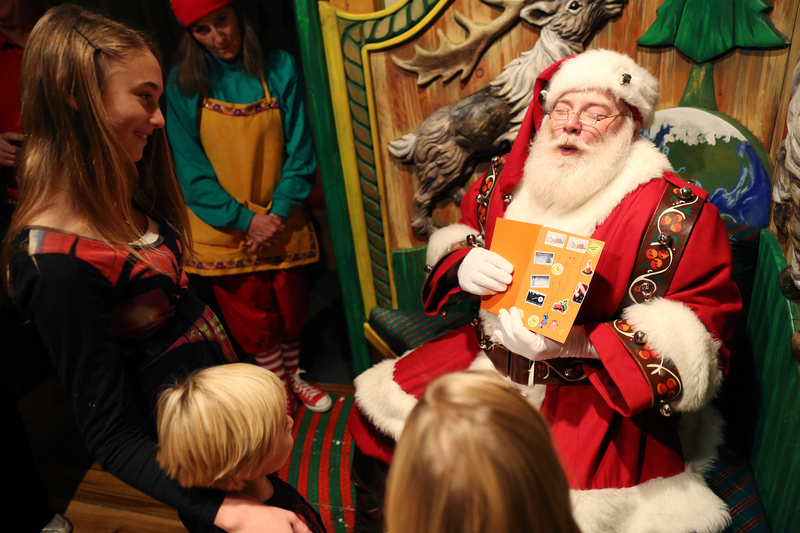 Somethings to know: Visits with Santa are by reservation only, and reservations can be made here starting on November 18, 2018 (or call at 212-494-4495). Macy's Santaland remains free and open to the public. In other good news, 2018 is also the first year that kids can do a fast-track to Santa with the Santa Express Lane (on certain days only), so if a lengthy walk through the Winter Village is too much, this option is perfect. We'd also recommend the Santa Express Lane visit for your smallest children, since even with a reservation through the Winter Village, wait times can still be fairly long. As one of our favorite Christmas events for kids, we can definitely say the experience is worth a visit at least once (if not every year). You'll find epic displays and beautiful scenery, and Bryant Park Winter Village is also close by in case you'd like to do some last-minute shopping. Seeking even more holiday cheer? Plan a family movie night with our favorite Christmas movies for kids and animated Christmas movies for kids. Macy's Santaland is a 13,000-square-foot Christmas village holiday display and indoor landscape that families can walk through! 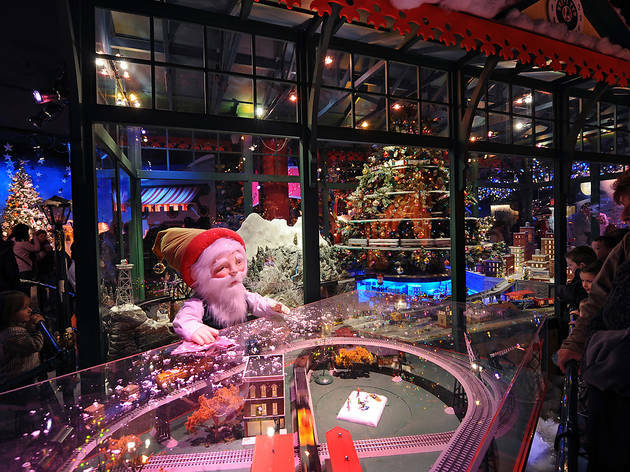 You'll encounter everything from a Rainbow Bridge to a giant Lionel train-scape, Santa's bustling workshop to a shiny red sleigh being prepped for the big night. 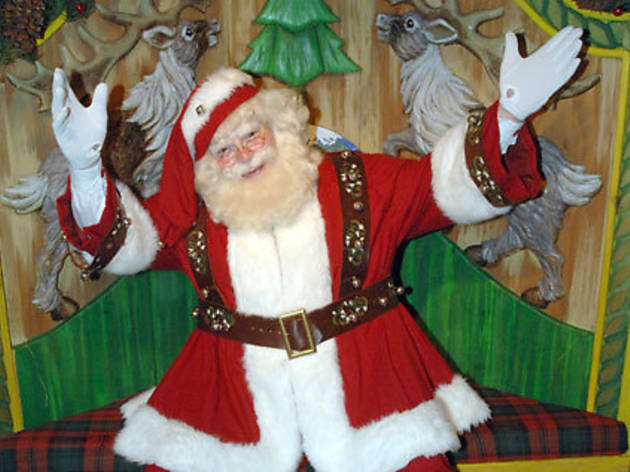 Twinkling lights, snow-topped trees and other fun exhibits lead the way to Santa in this enchanting experience. Kiddos can sit on his lap, share their ultimate Christmas wishes and either get a photo package from a professional photographer, or pause to let guardians snap a few pictures with their phones (no one will stop you if this is your preference). When is Macy's Santaland 2018? Macy's Santaland opens Friday, November 23, 2018 and is open through Christmas Eve, Monday, December 24, 2018. 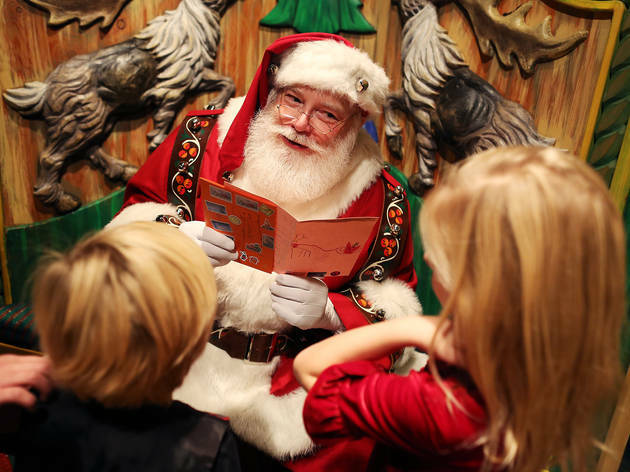 Families can access Macy's Santaland during regular store hours. Macy's Santaland takes place on the eighth floor of Macy's Herald Square at 151 W 34th St.
How do I get tickets to Macy's Santaland? 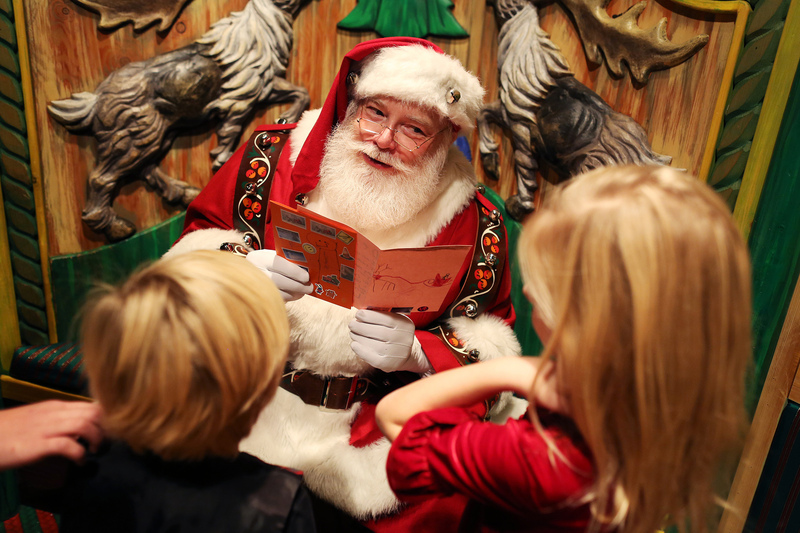 Admission to Macy's Santaland is free, and keepsake photos are available for purchase. 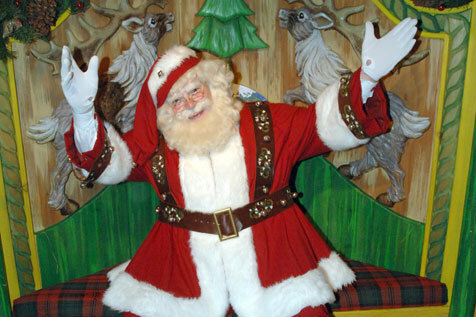 To make your reservation, visit the Macy's Santaland website here. Macy's Santaland will open for the season on Friday November 23, 2018 and remain open through Monday, December 24, 2018! Yippee! The famous Macy's Santaland display—complete with Santa, his elves and a full floor of sparkling winter wonderland—will open at Macy's Herald Square with a bang. This year, you'll see elves at the Welcome Station, a Kinder Sweet Shoppe, The Aflac Ducks, The Enchanted Forest (igloos, ice sculptures, Christmas trees, etc), The Rainbow Bridge and even the Lionel Trains Industrial City (tons of model trains zip around a six-foot-tall Christmas tree and other decorations). Shortly before meeting Mr. Claus, you'll get a peek at Santa's Workshop and see his sleigh being prepped for the big night (reindeer and all)! A new feature in 2018: Visitors who come to Macy's Santaland Friday through Sunday can opt to skip the Santaland Village attraction and head straight to Santa via a Santa Express Lane (time slots are subject to availability). Head up to the eighth floor of the Herald Square behemoth for 13,000 square feet of holiday cheer! You'll experience the Domino Sugar Bake Shoppe to see cute gingerbread men, the Aflac Ducks putting on their ice skates for the ice rink, igloos, ice sculptures, a rainbow bridge and Lionel Trains Industrial City, where you'll see six complete sets of trains surrounding a six-foot-tall Christmas Tree. 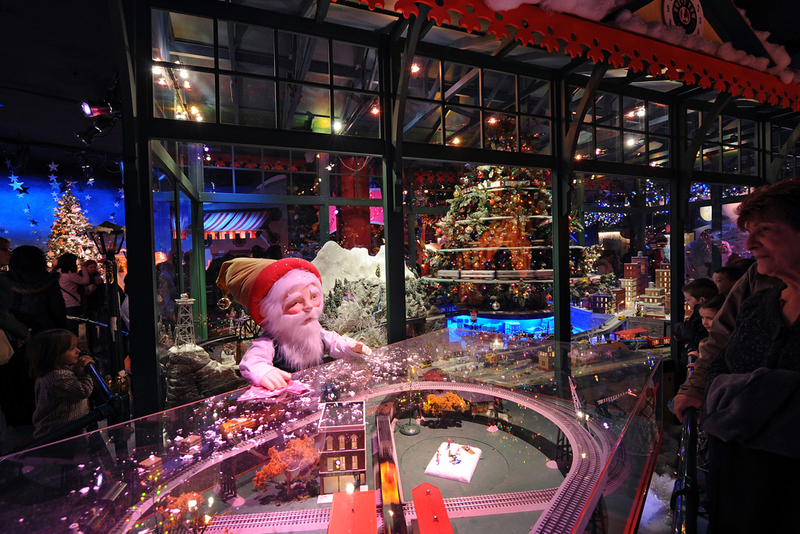 You'll even get a glimpse of Santa's Sleigh, Santa's reindeer and the toy shop packed with trinkets and gadgets. Finally, you'll be escorted by elves up to the man in red. All ages.